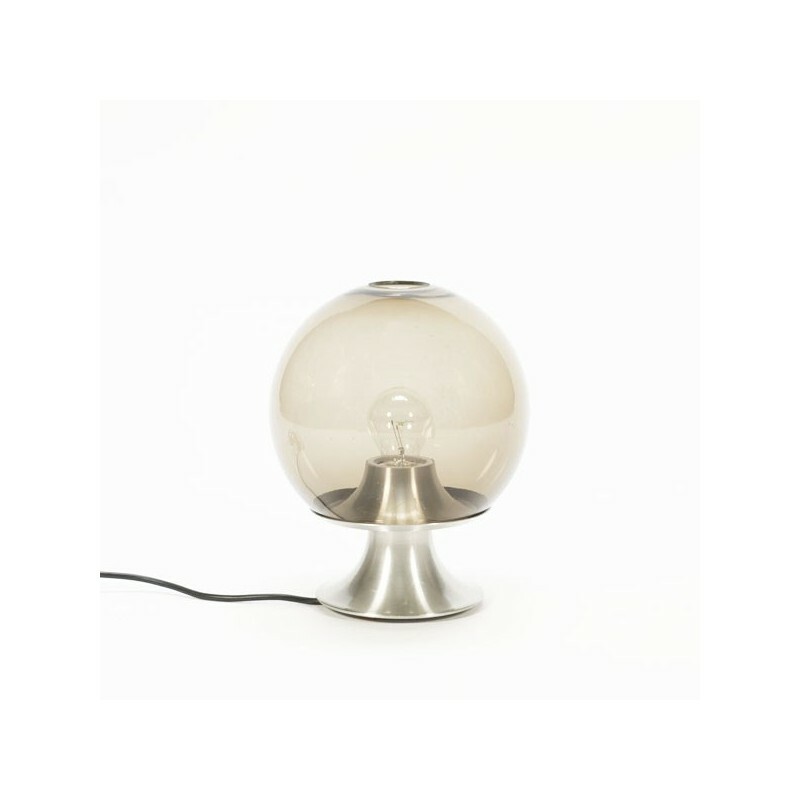 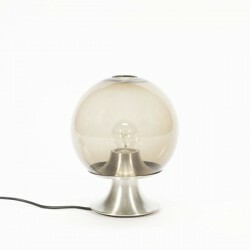 Rare table lamp from the Dutch brand Raak Amsterdam type Dream Island, designed by Frank Ligtelijn. 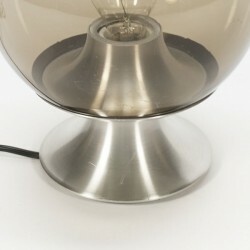 The table lamp has an aluminum foot on that rest a smoke glass ball. 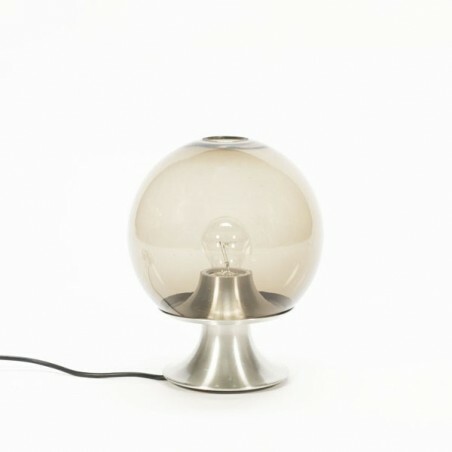 The lamp is in good condition given the age, but there is a small snip of the glass ball ( max. 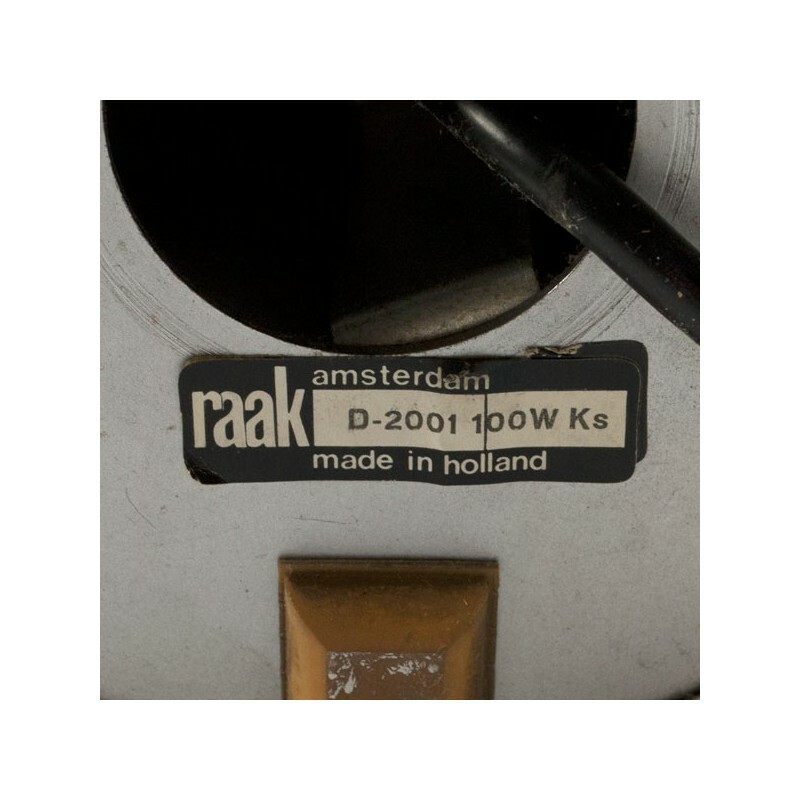 0,5 cm). 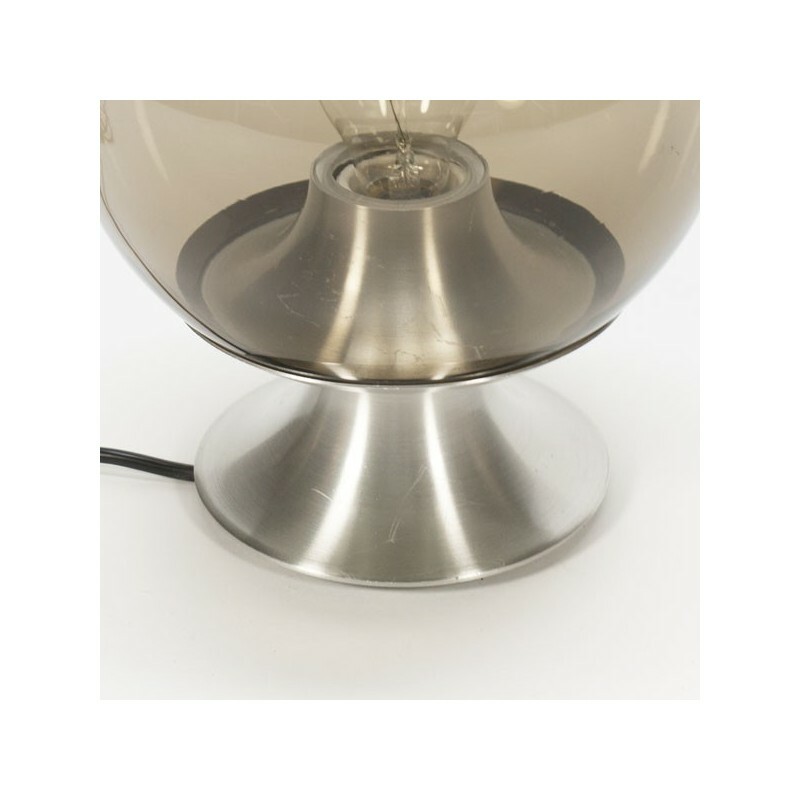 The size is 29 cm high and 20 cm in diameter.